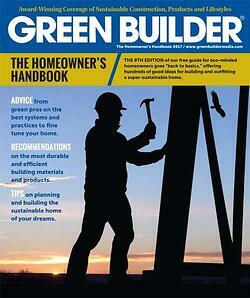 THIS COMPLETE, UP-TO-DATE REFERENCE GUIDE TO GREEN BUILDING is a must-have for every homeowner or would-be homeowner trying to understand green essentials--or for green professionals to pass on to clients. Organized into 12 easy-to-follow categories, the book explains why achieving sustainability in design and construction involves more than simply selecting the right products. GET YOUR FREE COPY NOW BY FILLING IN THE FORM ON THIS PAGE.